Branches are available at discount prices for weddings and special events. Choose and buy from a fine selection including: Apricot, Cherry Blossom, Curly Willow, Forsythia, Peach, Quince and more. They can be used to create table centerpieces and blossoms can be plucked to embellish floral arrangements and other setups. While Curly Willow is available throughout the year, some varieties such as Cherry Blossoms are seasonal and come in certain colors. Please check product pages for date and color availability. Additionally, to ensure the proper selection of your delivery date for your order, kindly take note of lead times required as they arrive in bud form and require a certain number of days to bloom. People often overlook it, but branches are a quintessential addition to any floral arrangement. They make any arrangement look aesthetic and pleasing in an instant. Adding them gives the whole setting some height and a winter elegance that is timelessly classic. The use of branches has become increasingly popular and trendy in not only house décor but also weddings and special occasions. Pairing branches with green foliage and some ivory flowers are the best combination for weddings. These arrangements can make lovely centerpieces and even bridal bouquets! 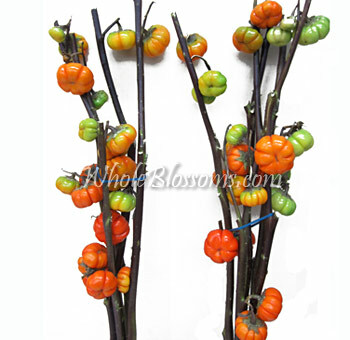 Branches are being extensively used in all floral arrangements nowadays. It's trendy and classy at the same time. Adding height and contrast to centerpieces it manages to catch the eye and attention of people immediately. There is a vast range of branches that you could use for these types of flowers. The wide variety that has now been cultivated are many. 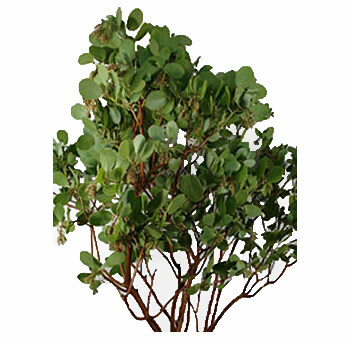 Manzanita branches, Kiwi vine, curly willow or flowering branches add magical elements to simple floral design and are great on their own too. They can literally be added to all pieces of the décor. Branches are even used in greenery garlands. Such garlands can create really elegant table runners that can be incorporated into different themes and styles. The framework for bridal bouquets can be made sturdier by housing branches. They even add a touch of something unique and different. Floral branches too are all in rage right now. This honestly makes branches very versatile, and that's why buying them in bulk is the best thing. It even allows you to have the freedom to explore some new ideas and get creative. 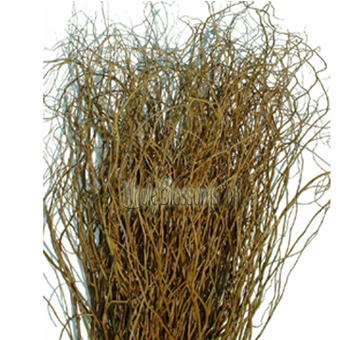 As the name suggests, curly willow branches are naturally curly. They are also naturally flexible making them very viable and usable in different settings. These might probably be one of the most popular willow branches. It's a popular cultivar of the Chinese willow. It's a wonderful piece, and a single branch can change the entire look of the floral arrangement. These curly willow branches are used in a range of places. From table decorations to branches for wedding centerpieces. Just placing them in a tall clear vase is enough to uplift and add accents to any table setting.They instantly convey a nature-inspired aesthetic. However, make sure that you're purchasing fresh branches since they definitely have a longer life. The beauty of curly willow branches is that they get darker and darker as they dry out. The real dried curly willow branches appear in a stunning red which accents amazingly with a lot of flowers. 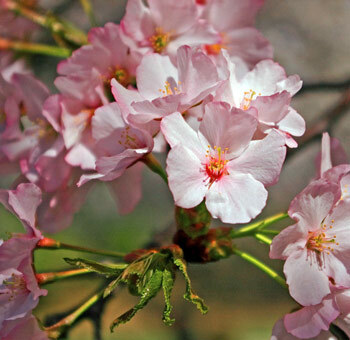 Cherry blossoms are the lovely pink flowers that are generally associated with the Capitol here in the USA. They have originated from Japan but are native to the Himalayas. The Washington DC basin area is lined with these beauties and every year tons of tourists flock there to see them bloom. It's no wonder that it's a favorite amongst many. 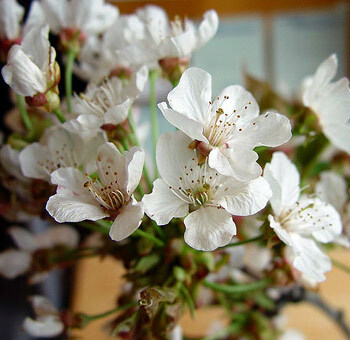 People have increasingly started using cherry blossoms as well as cherry blossom branches in various settings of décor. They create stunning pieces and mix well with a lot of other flowers. Apparently, they look absolutely gorgeous on their own too. One can create stunning centerpiecesusing cherry blossom branches. There is a unique attraction towards them, and people often want to recreate the magic of bloom season. These gorgeous branches come with flowers in colors of pink and white. They create modern and yet contemporary pieces whose beauty and elegance is hard to beat. Opt to choose fresh flowers. Because the wrong purchase can lead to scanty branches that won't look as good. The fresher the branch, the more the flowers in it. After all, without the flower the entire look of it is incomplete. Finding branches like curly willows as well as floral branches like cherry blossoms are relatively straightforward. Their extensive uses make them very popular and always highly in demand. And since they are available all year round it's great to be able to purchase them at any given time. However, it's essential that you make sure that you're only making that purchase through the right vendors. Instead of going to florists we highly suggest you opt for directly contacting wholesalers for a bulk order of branches. There are many online wholesalers as well. They too can provide with branches for centerpieces. But only chose trusted companies that can guarantee fresh flowers delivery. Whole blossoms are one such fantastic wholesaler online that can cater to all your floral branches needs. They even have a 24/7 delivery service which is really convenient for event and wedding planners. Whole blossoms have an easy to navigate website, and they deliver right at your doorstep. Your fresh floral branches are literally just a click away!